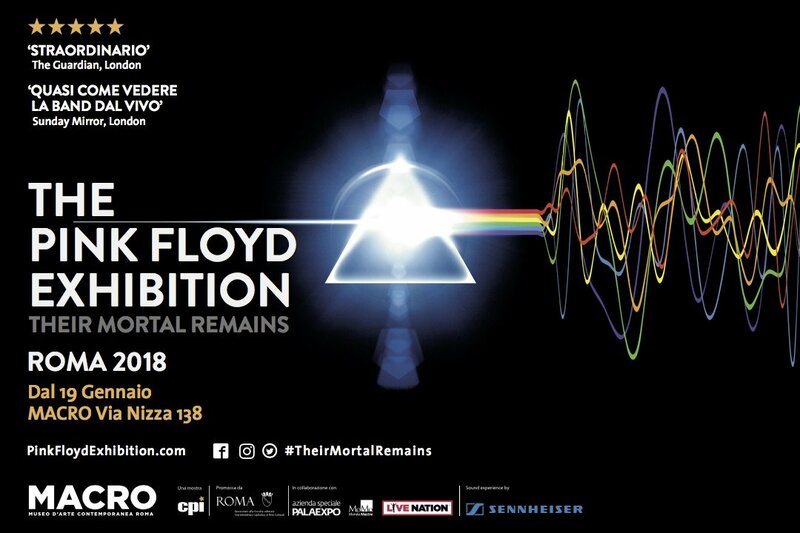 With the current home of The Pink Floyd Exhibition: Their Mortal Remains about to close its doors on the Floydian artifacts to the public, there's some great news from Rome's Museo d'Arte Contemporanea di Roma (MACRO) for those who are yet to attend but still want to (and will be in a position to do so). 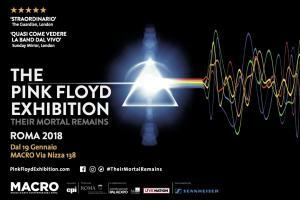 The exhibition, which opened on January 19th, was due to close on May 20th. However, it has just had an extension of a week (now closing on May 27th), and tickets for the extra period are now on sale via VivaTicket.it, all Vivaticket outlet locations and by phone on +39.041.2719035. Advance booking is heavily recommended. We'd also advise you to book sessions that start no later than lunchtime if you really want to take your time over the exhibition - we had many reports of people spending five or more hours absorbing all the detail in London! The video report below shows off some of the exhibition, including (as expected) a different layout to the staging of it at London's Victoria & Albert, and some different items on display. Amusingly, at one point in the interview, Roger reveals how he isn't particularly interested at the history of the band on display, more keen on the present and his current projects. Whilst some of the video is in Italian, Nick and Roger's comments are subtitled, not overdubbed. Once May 27th draws to a close, the exhibition will be carefully taken down, and packed up, ready to head to its next destination...once that is confirmed, we will bring you all the details of its new home!